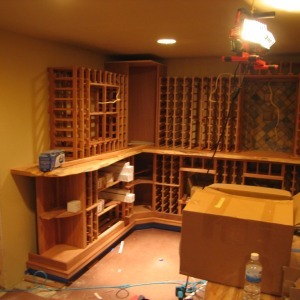 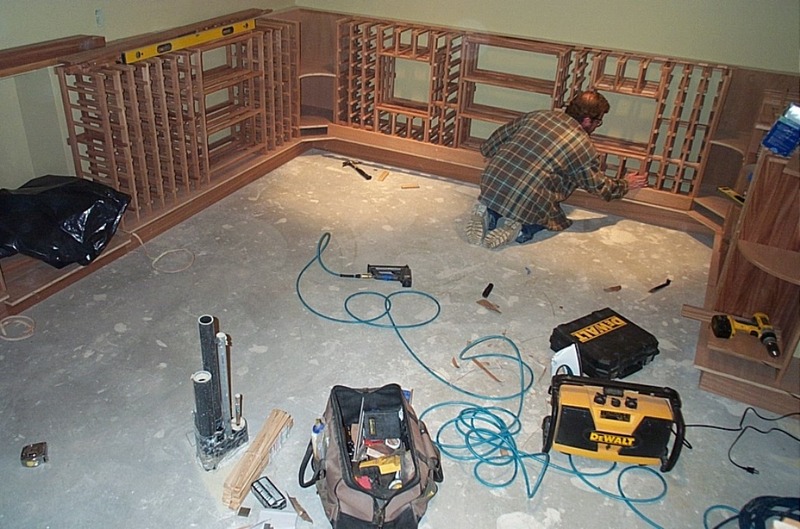 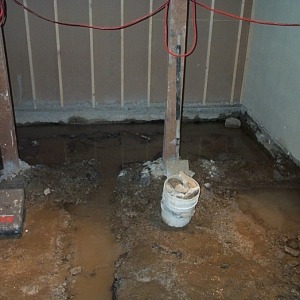 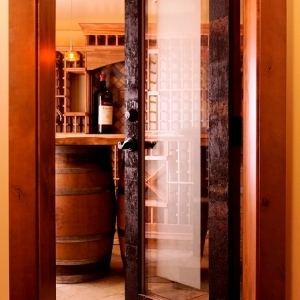 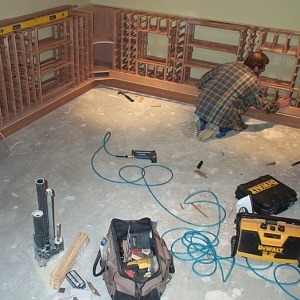 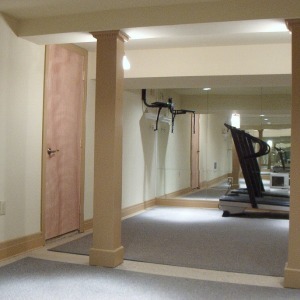 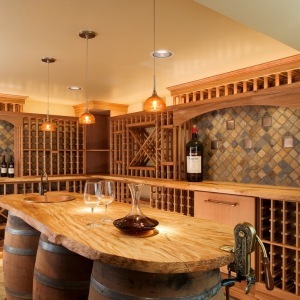 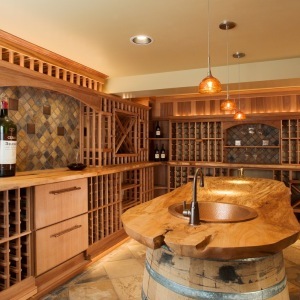 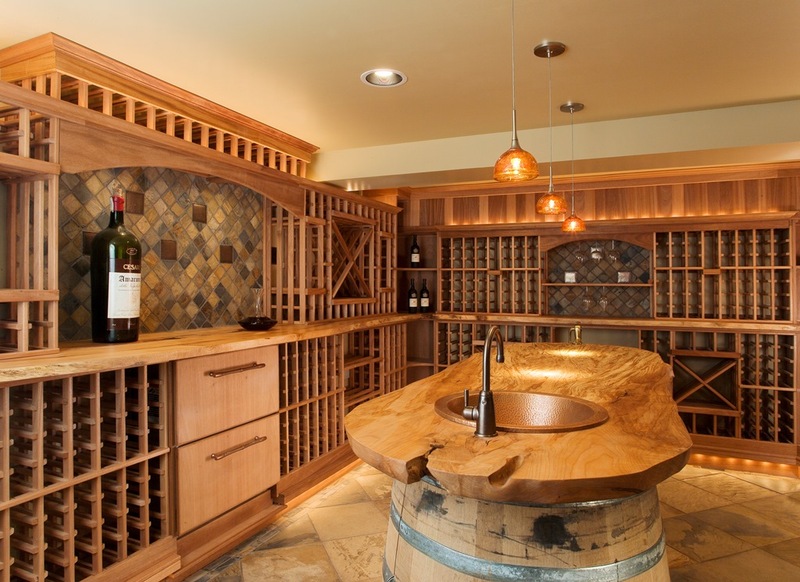 A subterranean fitness room was chosen as an ideal location for a wine cellar. 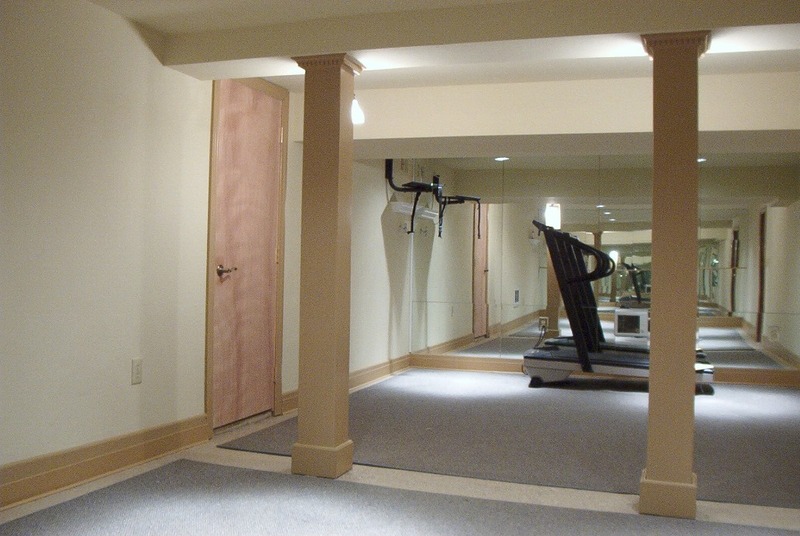 By modifying the structural support of the upper floors, a steel beam now replaces two columns, and relocated mechanical systems make way for precious headroom. 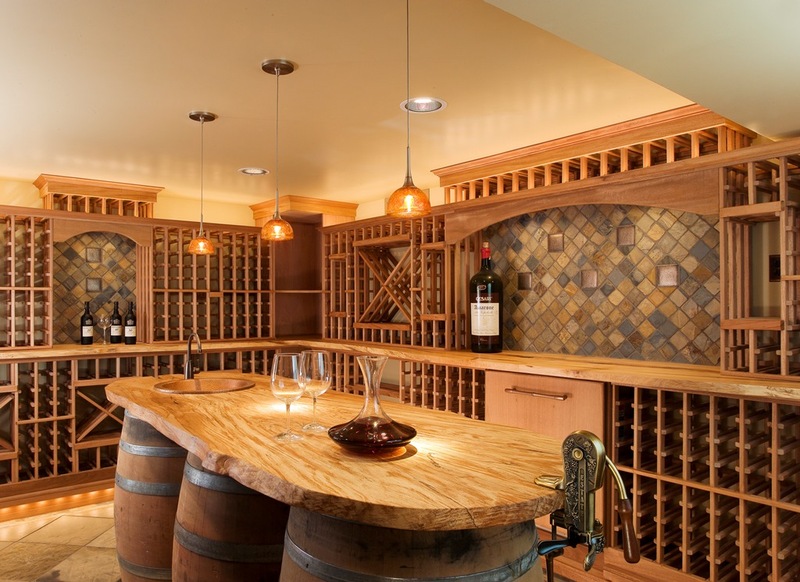 Green building practices accent this room through the reuse of French wine barrels, local maple tree live-edge countertops and thermal efficiency. 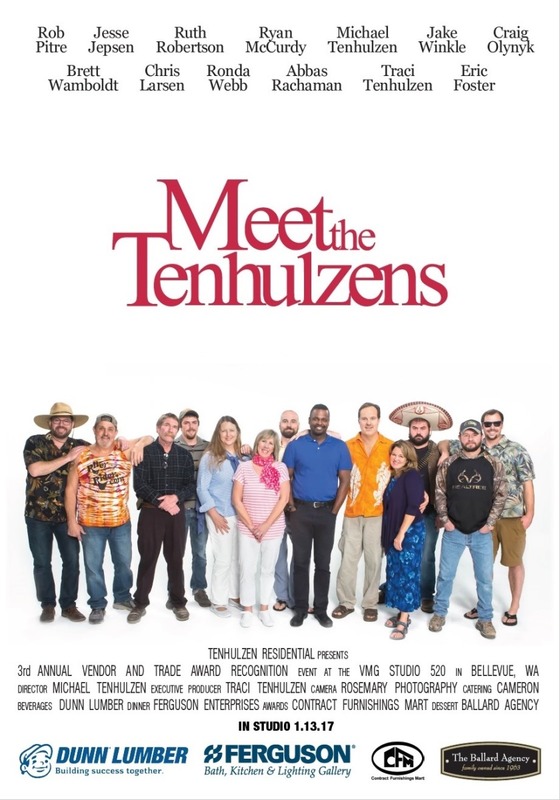 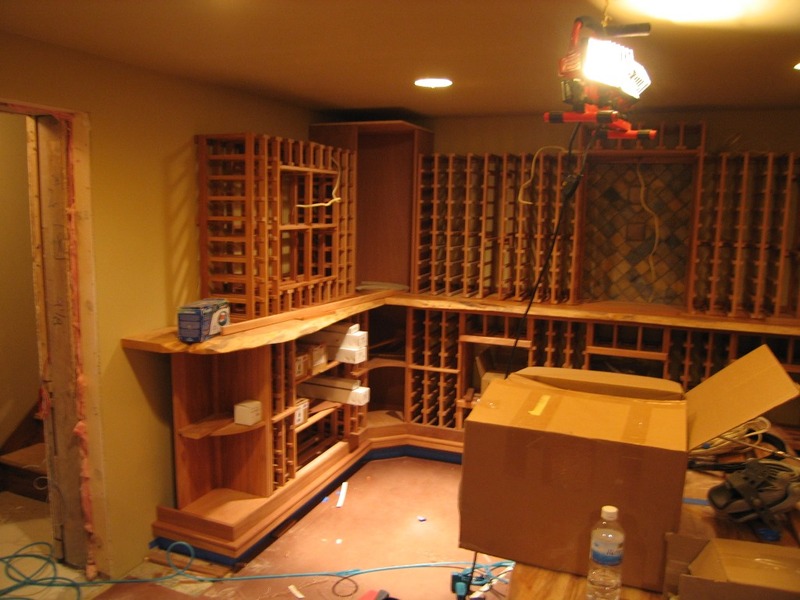 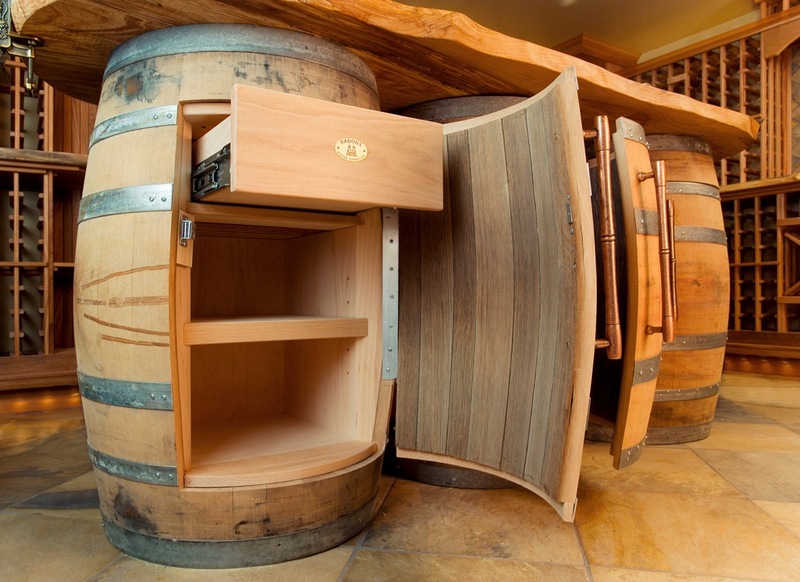 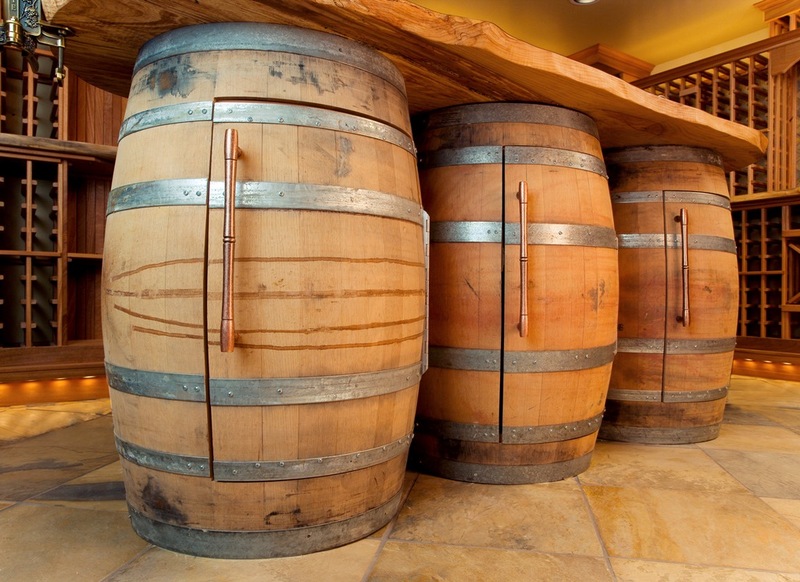 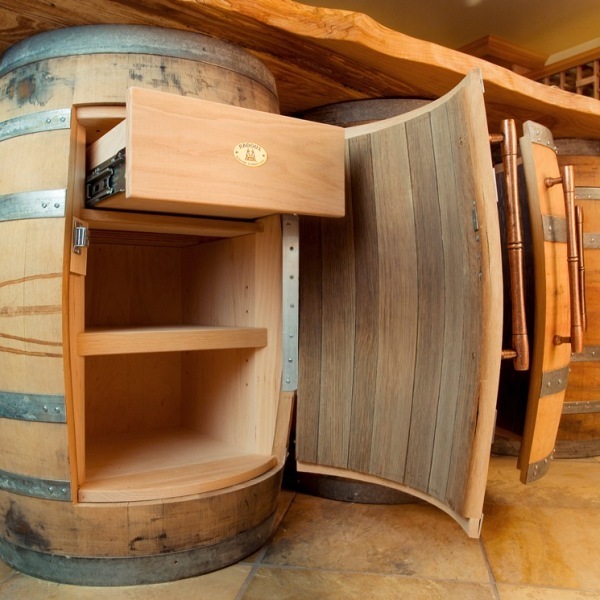 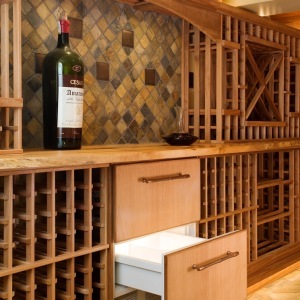 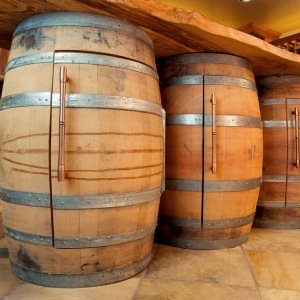 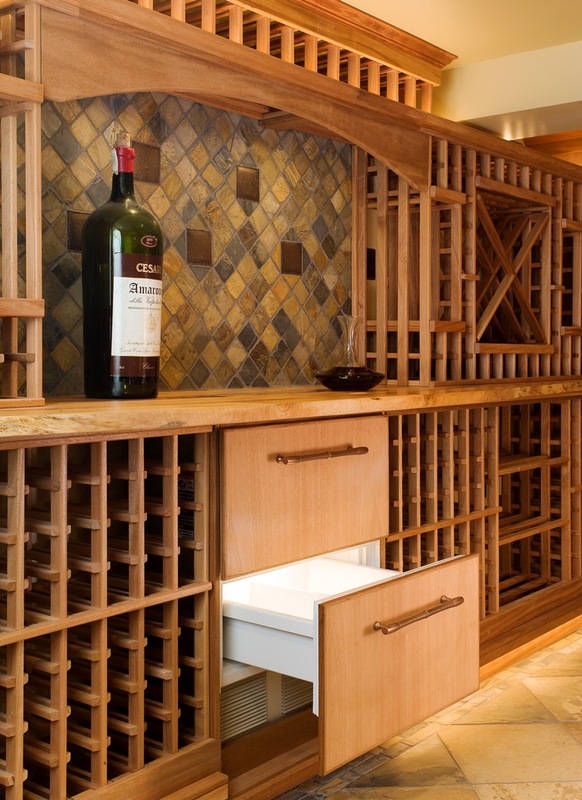 Bottle storage exceeds 1000, yet additional storage was created in the Sub-Zero refrigeration and by making fully-functional cabinets out of the island barrels. 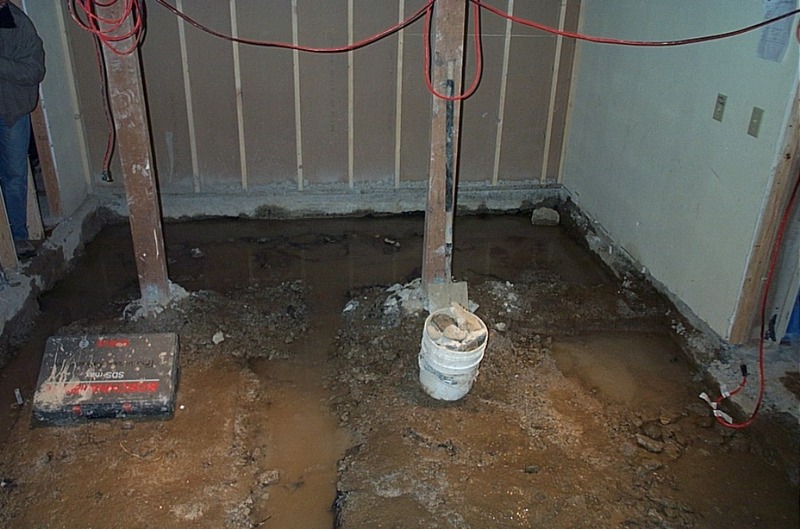 A specially designed subterranean drainage system channels the high water table to provide landscape irrigation and eliminating hydrostatic pressure.